Cadillac pioneered the full-size luxury SUV back in 1998 with the launch of the iconic Escalade, so it seems somewhat ironic the brand is late to the game in one of today’s hottest market segments: small luxury SUVs. While Cadillac may be slightly late to the party, the brand is hoping an all-new vehicle based on an all-new architecture with an entirely new engine will be enough to reignite its U.S. sales figures. Engineers for the XT4 say they went through General Motors’ vast portfolio of architectures to seek out a foundation for Cadillac’s first-ever small SUV, but it was to no avail. Coming up empty handed, the team decided to seek approval to develop an all-new architecture. The clean slate approach has allowed the XT4 to mold itself into an interesting size; it’s not as small as most of the direct competitors, but its shy of the midsize segment, which is what the larger XT5 plays in. It’s a strategy Cadillac has also utilized on its sedans, the CTS and CT6; both of which slot between their size segments. 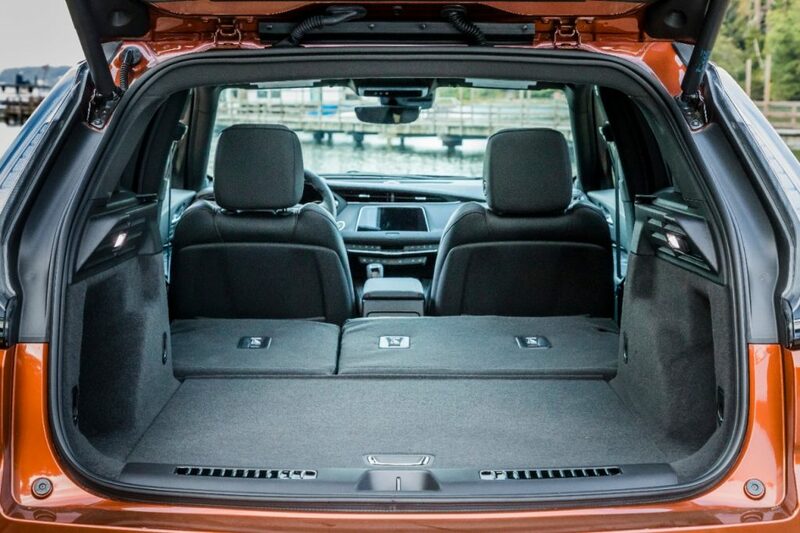 Greater scale has gifted the XT4 with tangible benefits like class-leading rear legroom, but also a less awkward exterior design than competitors such as the Audi Q3 and BMW X1. Granted, the proportions on the XT4 are still laying atop one of the smallest Cadillac’s ever; a brand notorious for grandiose proportions and design treatment. In order to marry the XT4’s small stature and Cadillac’s design treatment, designers were directed to imagine the Escalade as a “puppy.” While the XT4 hardly looks like a smaller Escalade, designers say its exaggerated features like oversized headlights, taillights and wheels are spawns from that directive. 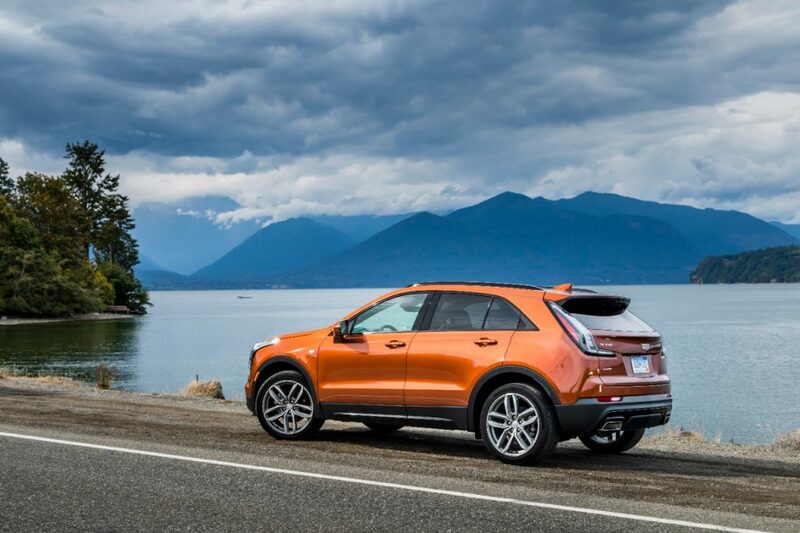 Meanwhile, designers also paid closer attention to the sidelines of the XT4 to make the most of the smaller canvas, and pulled in some very obvious design cues from the fan-favorite CTS Sport Wagon in the D-pillar and taillights. The result has yielded a Cadillac SUV that manages to look like a Cadillac, but is also clearly aiming for a younger crowd than an Escalade. Small touches like blackened brightwork on the Sport trim and grey plastic cladding give the XT4 a younger look to appeal those flocking to this particular market segment. 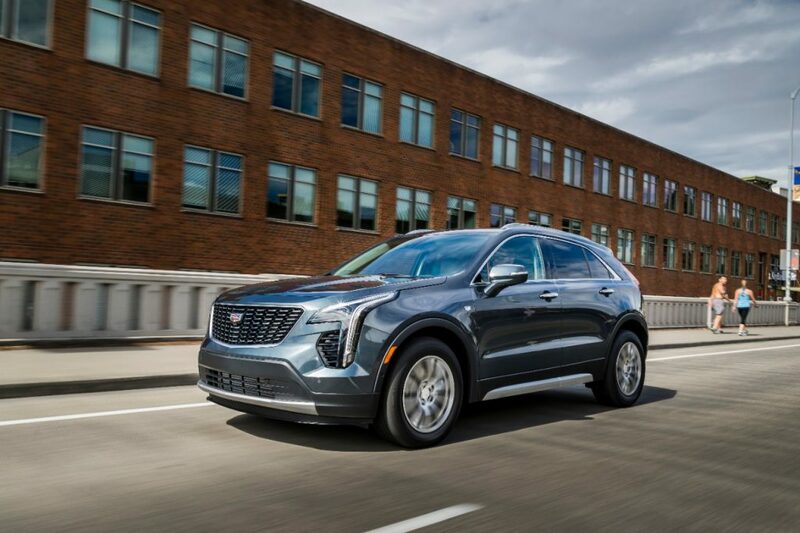 Speaking of youthful appeal, the XT4 is the recipient of Cadillac’s new trim level strategy. 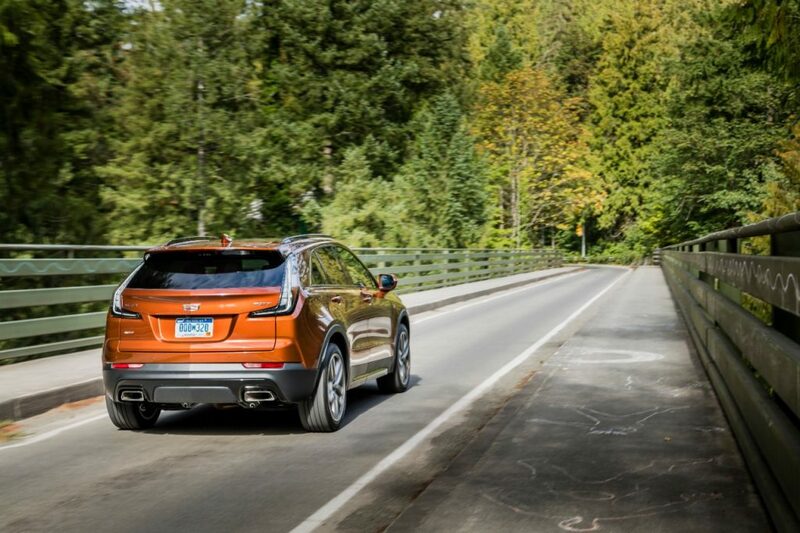 Referred to as their “Y” strategy, the XT4 will be offered in Luxury, Premium Luxury and Sport trim levels. Luxury is the base model, while the other two offer distinct personalities that harken to their respective names despite identical base prices of $40,290. 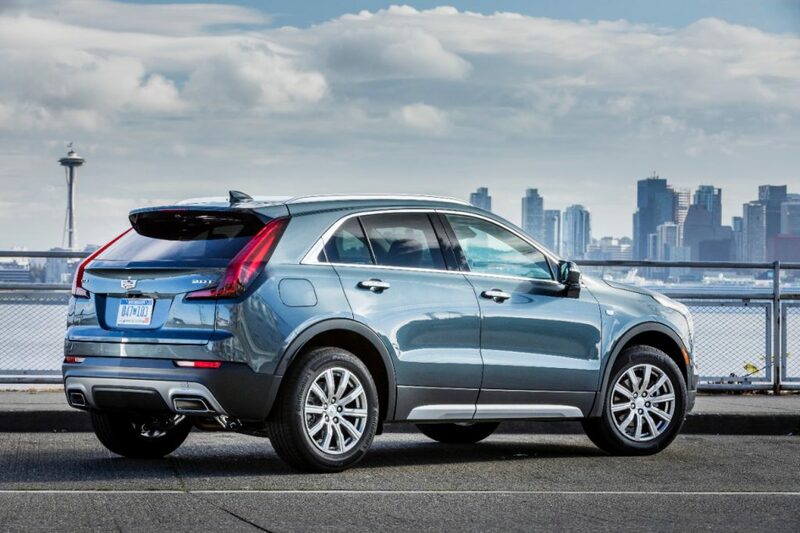 XT4 Sport is perhaps the most distinctive version, with design features such as a blacked-out grille and clear lens taillights. 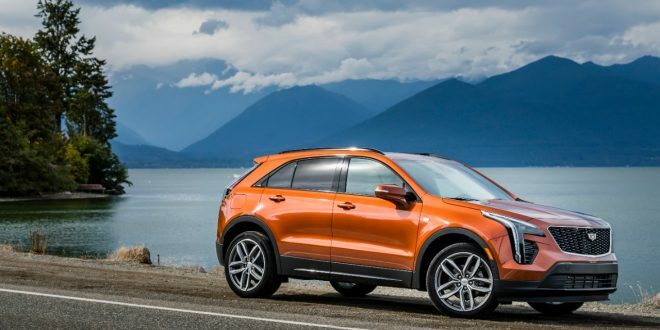 Sport also features an optional continuously controlled damping (CCD) suspension system, which provides greater rebound control, particularly when the XT4 is in “Sport” driving mode. For driving enthusiasts, the CCD suspension is reason enough to opt for the Sport mode when specing out the XT4. The CCD also proves a valuable companion to an impeccably calibrated steering and fade-free electrical brake system. Those less concerned about suspension details may find the Premium Luxury trim more fitting. It offers leather seating standard, illuminated door handles and actual exterior brightwork to look more like a traditional Cadillac. Regardless of trim, there’s a few parities across the XT4 range, such as interior quality and powertrain. While Sport and Premium Luxury offer some variances inside, such as carbon fiber trim in the Sport versus wood and aluminum in the Premium Luxury, both feature the same impressive interior. 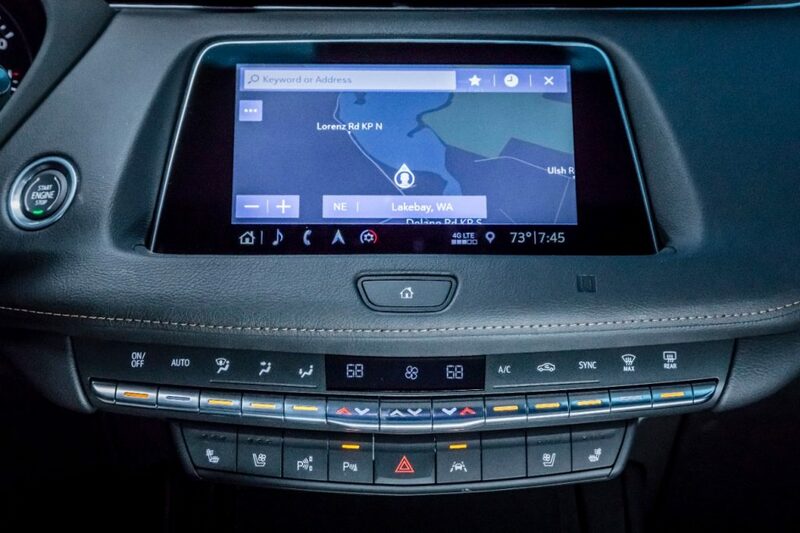 The overall interior design is the same horizontal theme found in the XT5 and CT6, but with the added benefit of an entirely new infotainment interface and respective instrument panel buttons. In fact, the radio and HVAC controls in the XT4 are among the most friendly we’ve tested recently; they’re simple and easy to see, something rare in today’s world. Said buttons are also controlling an all-new CUE system that is as responsive as a new iPad and less clunky than previous iterations of the system. 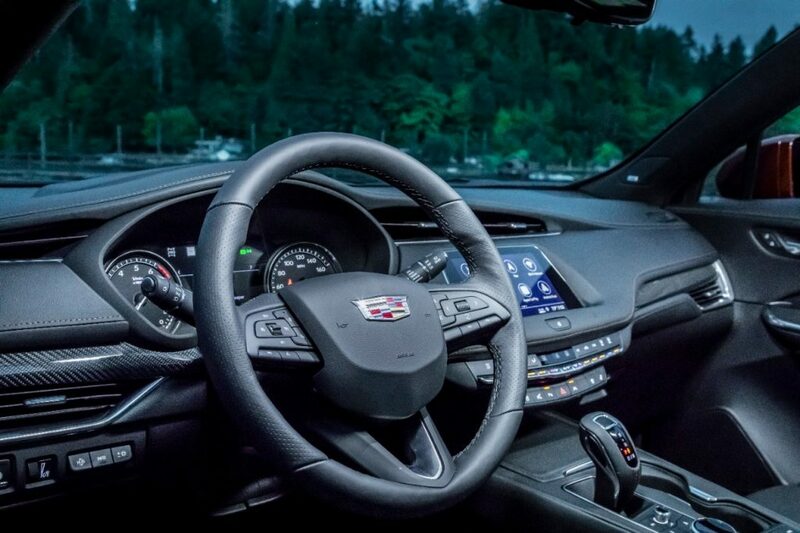 Despite the clean layout of the instrument panel, Cadillac has opted for a trendy electronic gear selector in the XT4, which is not that intuitive and generally clunky to operate. In every XT4 the gear selector is controlling a nine-speed automatic transmission that’s paired with an all-new turbocharged 2.0-liter four-cylinder. Cadillac says this 2.0-liter shares virtually nothing with the one found in the ATS and other GM products, which is validated by all the new technology found in this one. The engine features a three-mode valvetrain design that provides different lift states depending on if the engine needs to be generating max power or focus on efficiency. One such mode includes GM’s Active Fuel Management, which disables two cylinders under light loads. The product of these features is an engine that has virtually no perceivable turbo lag and reasonable real-world fuel economy. During a near 150-mile jaunt around metro Seattle, we averaged 27.2 mpg in the XT4 Sport, and that was with some aggressive driving and hilly terrain. Regardless of terrain, the nine-speed automatic proved to be a worthy match to the engine; making the most out of the broad torque range while offering up lightning-fast, almost imperceivable shifts. While the fuel economy aspect of this engine appears to be on-point, its power is less so. Rated at 237 horsepower and 258 pound-feet of torque, the engine scoots the XT4 along just fine, but it isn’t going to invigorate any gear heads. During aggressive on-ramp maneuvers some owners may expect more gusto out of a vehicle wearing the Cadillac crest. Owners may also expect an engine that is quieter than this 2.0-liter turbo, which exhibits more engine noise than GM’s other four-cylinders. Along with engine noise, we also noted a fair amount of road noise in the cabin during our testing. The XT4 seems fine when the tarmac is smooth, but rough pavement echoes into the cabin more than it should for a luxury product; small or not. It’s worth noting one of the testers came in at nearly $57,000 when equipped with Cadillac’s optional twin-clutch all-wheel-drive system. Overall the Cadillac XT4 appears to be a formidable competitor to the likes of the Audi Q3, BMW X1 and Lincoln MKC. It’s roomier than the aforementioned competitors and arguably looks better. While there’s parity to competitors when it comes to features and even luxury touches, there’s no question the XT4’s price tag creeps up quickly and far beyond that of most of its top-line competitors. The biggest question surrounding its success will be people’s willingness to fork over puppy Escalade pricing. Still... Nox/Terrain, Envision, and XT4 each have their own. You don't see VW or RNMA do this. Well in this instance they actually put the product first lol I wonder if we will see this with the XT6 as well. This one is a parts bin special though. Bit of a Frankenstein. How many platforms for compact crossovers can GM afford...?